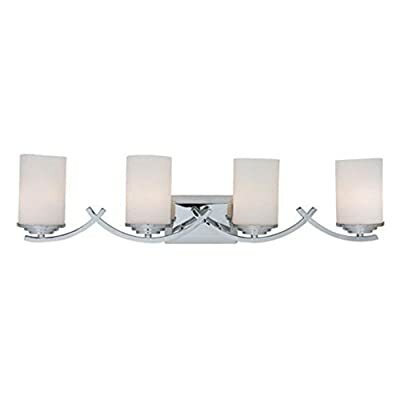 Boost the amount of light around your sink while keeping the mood of your bathroom tranquil and inviting with the help of the Y Decor Brina L4090-4V Vanity Light. Its four cylindrical white opal glass shades diffuse light, so that the fixture gives off a pleasant, soft glow without a harsh glare. Inspired by minimal modern design trends, the steel vanity light shows off elegant curved arches and a simple rectangular back plate. You can select your preferred finish from the available options. 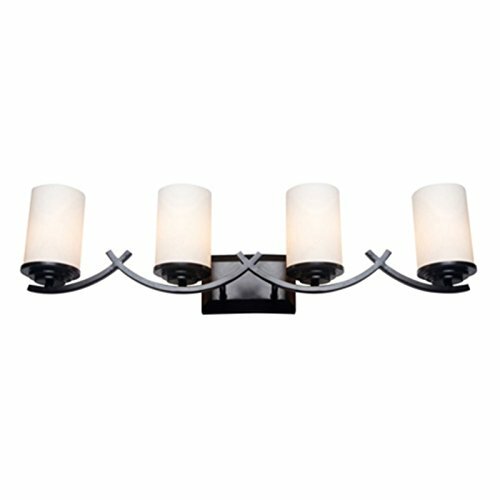 Dimensions: 32W x 7D x 8H in.. Select from available finish options. Constructed of steel. 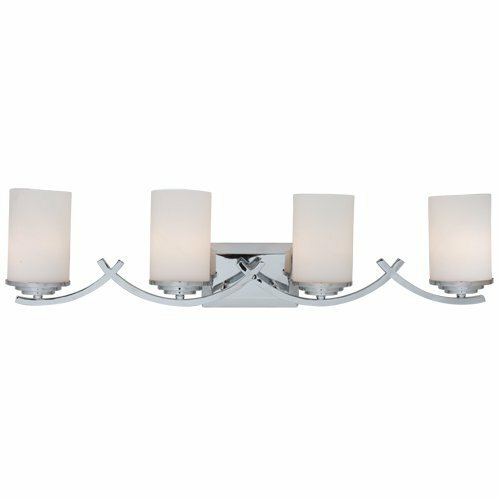 4 lights, up or down installation. Requires 4-100 watt incandescent, CFL, or LED bulbs (not included).